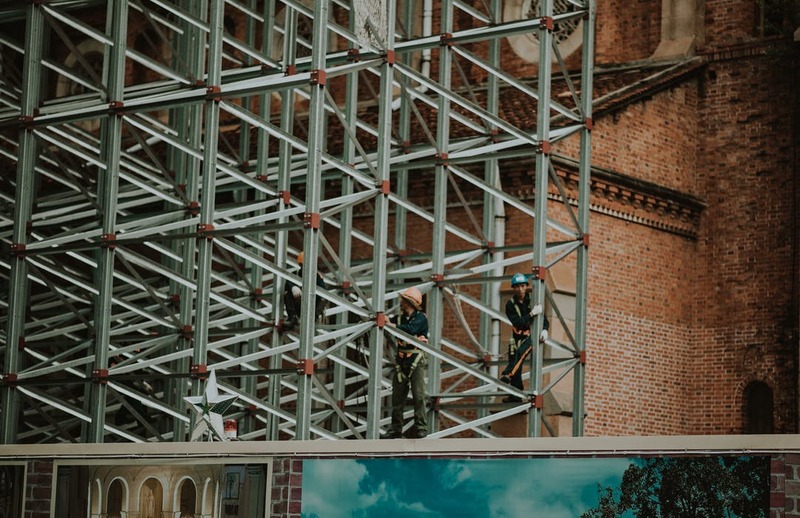 Scaffolding is a temporary structure with a primary purpose of providing a safe and stable work environment for those doing construction or repair work on buildings and infrastructure. These conditions oftentimes involve working at dangerous heights and carry a number of risks to persons on the site. Single scaffolding is typically used for brick masonry, and is hence known as the ‘brick layer’s’ platform. It involves standards, putlogs, ledgers etc., which sit about 1.2 metres from the wall, parallel to it. When working at greater heights, braces are fixed cross diagonally with rope lashing to provide extra support and stability to the platform. Putlogs sit 1.5 metres apart from one another. Also commonly used for brickwork or masonry. Double scaffolding differs from single in how it uses two rows of standard, rather than just one. These are divided with ledgers, which provide a more supportive, stronger and safer platform for workers (compared to single). Putlogs, supported by the ledgers, are found on either end of the temporary platform This ensures the scaffolding is a self-supporting structure, not dependent on the wall. A trestle is a rigid frame comprised of horizontal beams attached to two legs, used to support other structures, whether that be a tripod, table, or building support. In the case of scaffolding, this is a good choice if you want to move the support around, for example painting different interior walls in a room. Being connected to easily movable ladders this portable frame is easy to build and take down as needed. 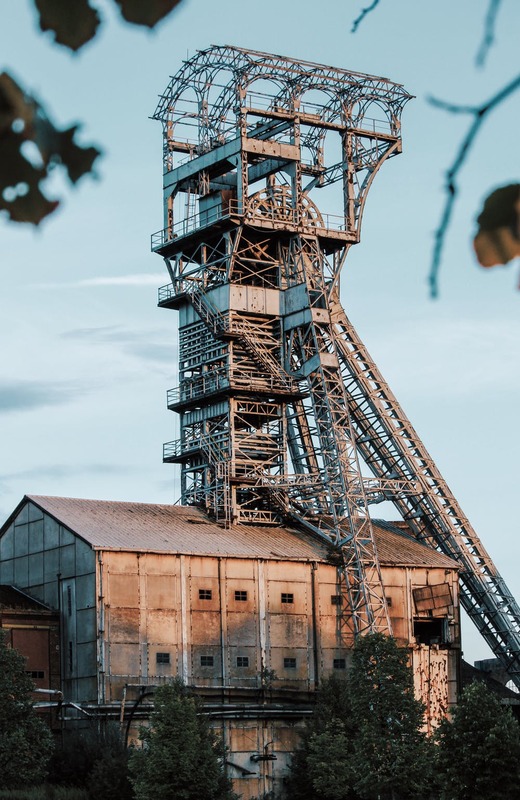 Steel scaffolding comprises of steel tubes connected with steel fittings or couplers – a couple being a piece in a mechanical system designed to join two components or systems. It involves ‘doubles’, with hollow steel tubes in place of other materials, such as bamboo. The metal is joined with pipes, bolts, nuts, washers wedges or clips. It’s also relatively easy to erect and to dismantle, and is ideal if the aim is to have a robust, durable, and exceptionally fire resistant support system. It is therefore not the most budget-friendly option, but in a cost-benefit analysis you may find the trade off is worth it for the impeccable safety it gives to workers. That’s why the steel frame has become such a popular choice. Are also made from steel. The difference is in how they are fitted with special, pre-made couplings and frames, and a working platform fitted upon adjustable brackets – meaning these can be altered accordingly to the requirements of your scaffolding. Involves the working platform being suspended by wire ropes or chains from a roof or ceiling. It’s mostly used for painting and repair work in high, hard to reach spots, such as in a large warehouse type venue. The ropes or chains allow the worker’s height to be adjusted as they go. Cantilever tends to be used for upper wall constructions, when there’s rigid ground that is unable to support standards, for example above busy streets. These supports require workers to take extra caution. A great choice if you want easy to put together and take down. The Kwikstage scaffolding is constructed from galvanized steel. It’s hence incredibly durable. It’s another popular choice due to this, plus flexibility – being easy to assemble, dismantle, and move around the site, as well as between sites.